Lys Vietnamese Translation was founded by a group of professional, accredited and visionary native linguists, professors, translators lecturing in Universities, Language Institutes and working for Multinational Corporations. To date, we have provided a service for hundreds of US, Europe clients as well as Vietnamese clients. Although evaluated as one of the leading translation service provider by a majority of domestic and overseas clients, our group still keeps on trying to enhance and perfect our working practice, skills and specific knowledge to provide our clients with efficient, cost-effective and proven globalization solutions. We receive each translation project not only as a new challenge but also a good opportunity for us to affirm our exceptional service quality. We have extensive experience and many Areas of Expertise, take a look at our Recent Works for more details. Our quality assurance process affirms absolutely that, whenever possible, a native speaker performs the translation into the target language, which is scrutinized at every stage of translation, not just at the end. All material is then double-checked by our very experienced in-house editors and reviewers/proofreaders who ensure that it complies with our strict standards of accuracy and stylistic quality. The motto “Do right from the beginning” and do our utmost to help you establish and maintain a productive business relationship with your counterparts and partners worldwide. Guarantee our client’s satisfaction with highest quality of translation, punctual deliveries and flexible price. Remain committed to bridging distances, language barriers, cultures and marketplaces. 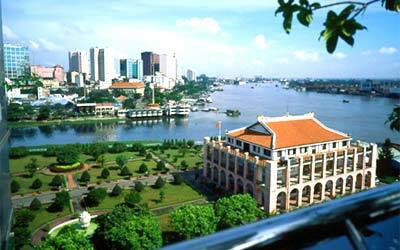 Being the best Vietnamese translation service provider of global translation in the market now and forever.